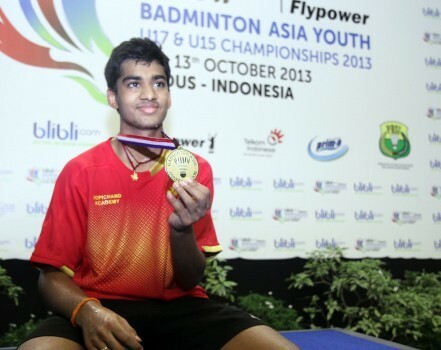 Unseeded Indian shuttler Siril Varma continued his giant-killing run at the World Junior Badminton Championships at Lima, Peru as he toppled the 14th seed Adulrach Namkul of Thailand 21-15, 21-14 for a place in the (U-19) boys’ singles final on Saturday. The contest lasted just 34 minutes. This is his fourth seeded scalp at this tournament after having accounted for the ninth seed Kantaphon Wangcharoen in the third round, the third seed Anders Antonsen in the fourth round and the tenth seed R Satheishtharan in the quarter-finals. In Sunday’s title showdown, Varma, placed at 29th in the junior world rankings, will play the winner of the match between the sixth seed Chia Hung Lu of Chinese Taipei and unseeded Koki Watanabe of Japan. Varma’s achievement thus assures India of at least a silver medal at thes prestigious global meet. He is now the first Indian to reach the final at World Junior Championships in the individual category since Saina Nehwal was crowned the champion in 2008. This is also India’s first medal since 2011, when Sameer Verma picked up the bronze in boys’ singles. The 16-year-old, who has been making rapid strides recently, has been touted as India’s next big badminton star for quite some time. The youngster, who has been training at the Pullela Gopichand Academy in Hyderabad since the age of eight, won the Asian U-15 title a couple of years ago and would be hoping to add a world title to his name on Sunday.